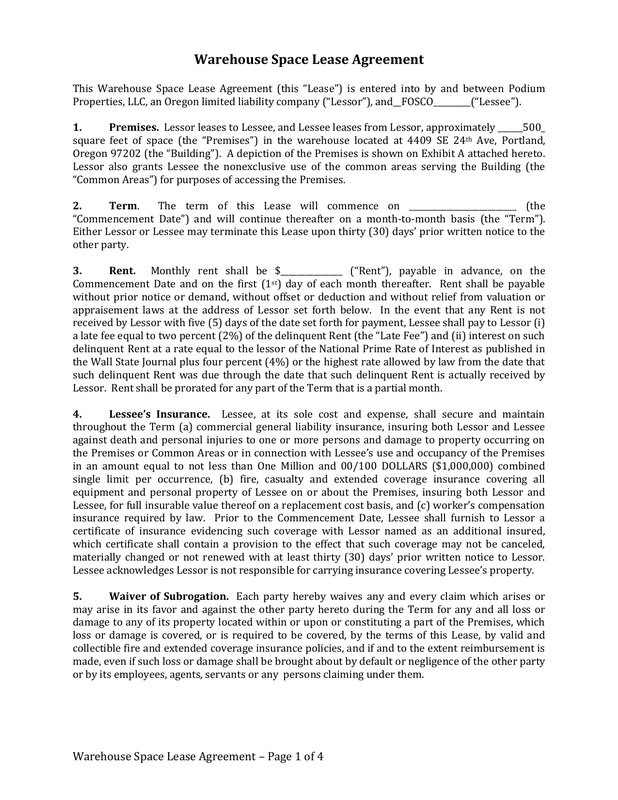 Properties, LLC, an Oregon limited liability company (“Lessor”), and__FOSCO_________(“Lessee”). Oregon 97202 (the “Building”). A depiction of the Premises is shown on Exhibit A attached hereto. 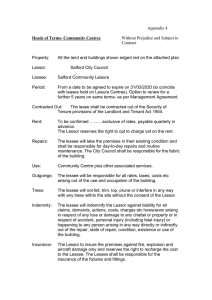 “Common Areas”) for purposes of accessing the Premises. “Commencement Date”) and will continue thereafter on a month-to-month basis (the “Term”). Lessor. Rent shall be prorated for any part of the Term that is a partial month. materially changed or not renewed with at least thirty (30) days’ prior written notice to Lessor. 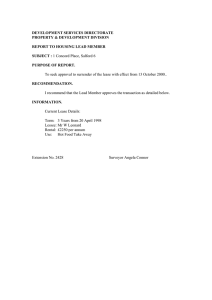 Lessee acknowledges Lessor is not responsible for carrying insurance covering Lessee’s property. or by its employees, agents, servants or any persons claiming under them. 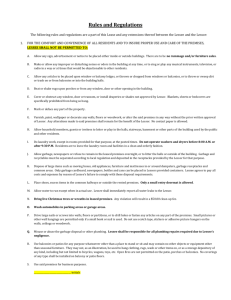 be subject to rules and regulations adapted by Lessor from time to time. and Liability Act (collectively, “Hazardous Substances”). put in the trash containers outside. 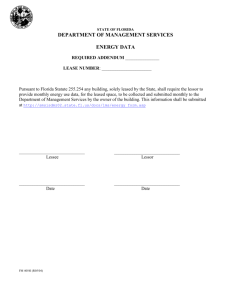 Lessee and their employees must keep their leased area clean. 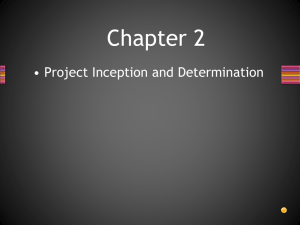 resulting from the acts or omissions of Lessee or its agents or employees. 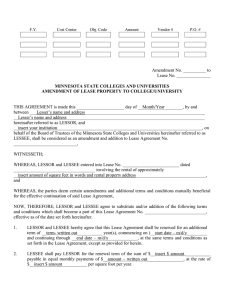 Lessor’s prior written consent, which may be withheld by Lessor in its sole discretion. 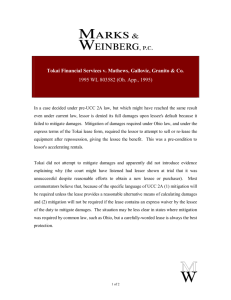 damages caused by wrongful holdover. does not warrant any security alarm system or other security for the Premises. 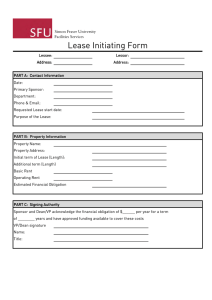 covenants or other agreements between the parties except as expressly set forth in this Lease. to an amount equal to delinquent Rent and future Rent lost because of the default. Applicable Law. 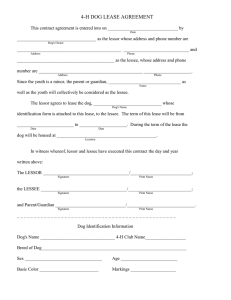 This Lease shall be construed and interpreted under the laws of Oregon.